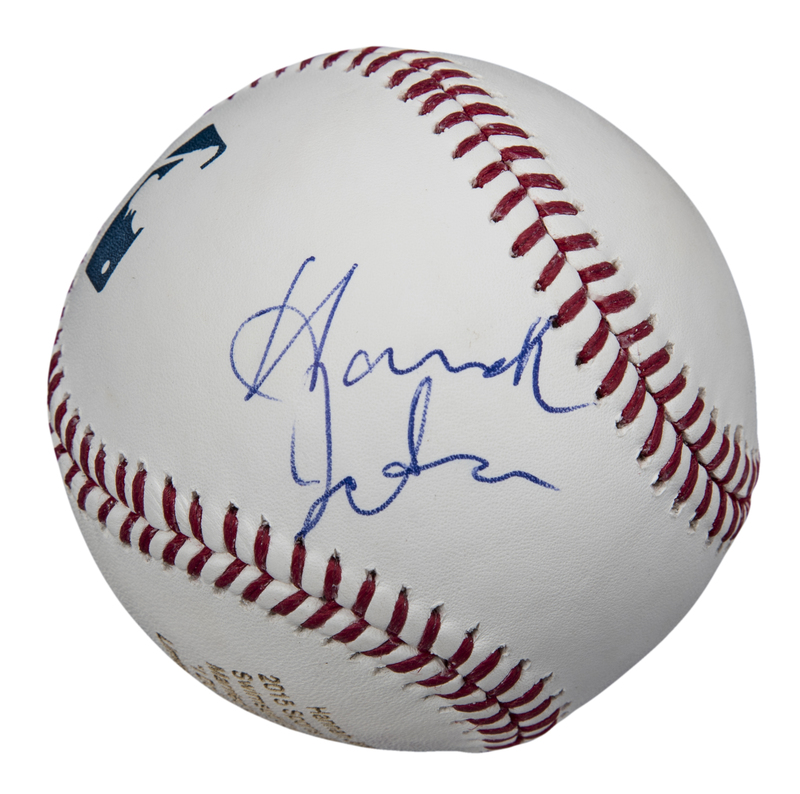 Offered here is a limited-edition baseball signed by Hannah Jeter (née Davis). Jeter, the wife of former Yankees superstar Derek Jeter, is an accomplished swim suit model and a former tennis and volleyball sensation. Jeter has signed this Official Major League Allan H. Selig baseball in blue pen slightly to the west of the sweet spot. 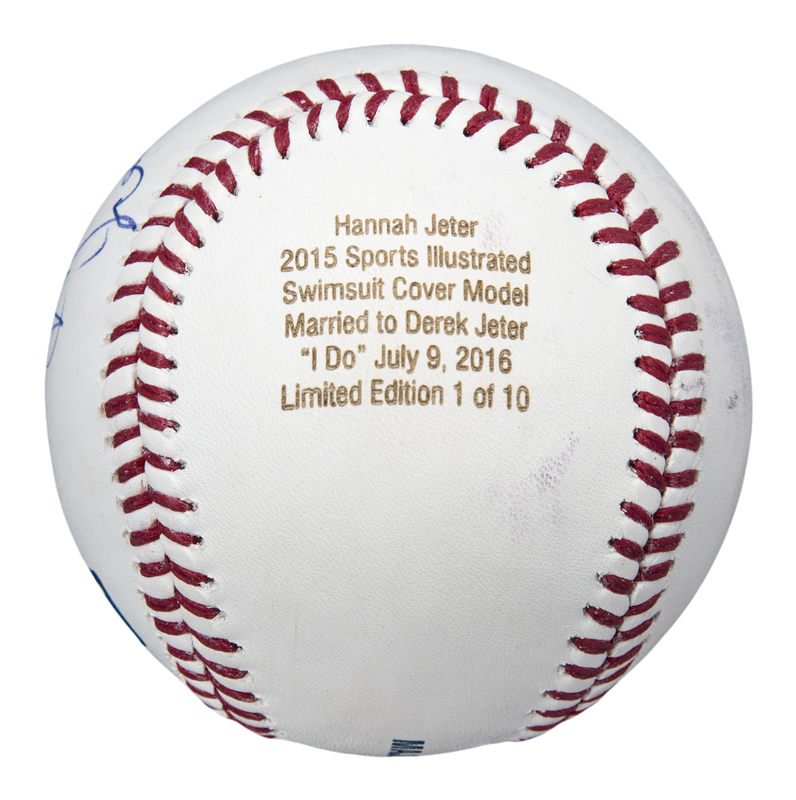 Printed on the panel south of the sweet spot is “Hannah Jeter / 2015 Sports Illustrated Swimsuit Cover Model / Married to Derek Jeter / ‘I Do’ July 9, 2016 / Limited Edition 1 of 10”. 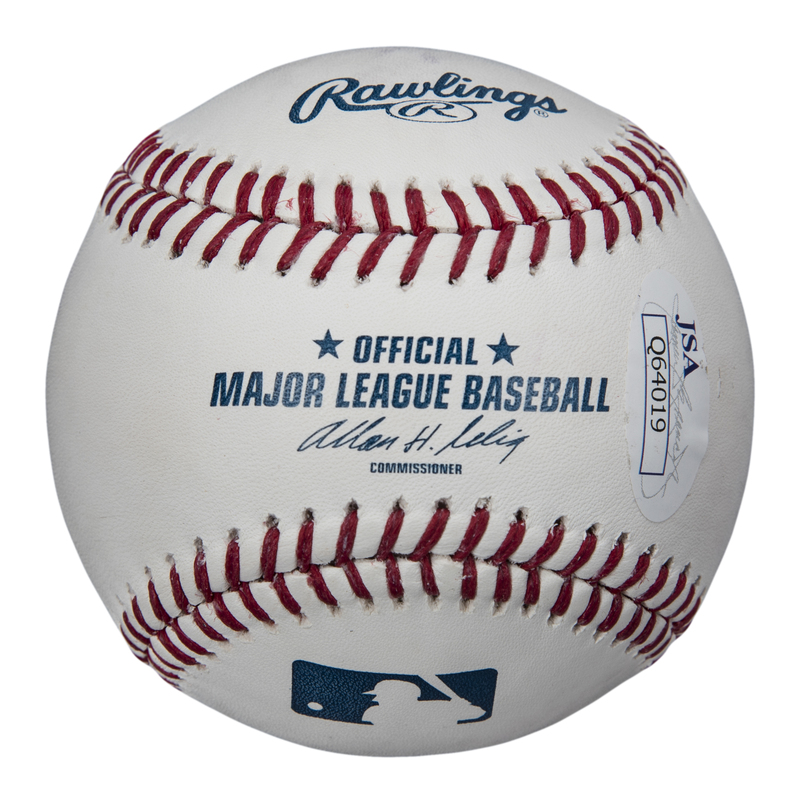 This baseball comes with a COA from JSA (Q64019).